How Can Showers Cause Water Damage in Your Home? Although the bathroom seems to be designed to handle water, it is still one of the most common areas in the home that faces water damage. Water damage from the shower is common because there are several plumbing systems confined to such a small space. Pipes run through walls and wear and tear can cause leaks. Here’s what you need to know about water damage from a leaking shower or water leaks and damage behind shower wall tiles, and how you can get quick and effective water damage restoration. One of the worst types of water damage is an issue that occurs slowly over time. This is one of the worst types because it increases the chances of an additional mould problem, and your insurance company will also usually not cover the costs to repair these issues. This kind of situation can happen if you have moisture behind your shower wall or water leaking slowly behind shower wall tiles. Water will permeate the wall cavities, subfloor, and more and by the time you notice the discoloration, it’s already too late. Another issue that can happen in the shower is when the grout between shower tiles cracks and deteriorates, allowing water to flow through into your walls. You should visually inspect your shower to make sure all the corners are properly caulked and that there are no cracks in your shower area. If you notice these issues, contact a professional water damage restoration company immediately to prevent bigger problems that can be expensive to fix. Regarding your sink, almost all kinds of damage are typically covered by your insurance, even when it is accidentally left on and overflows. However, this issue can cause serious damage if you have other flooring or tiling issues in your bathroom. If there are any other problems in your bathroom, an overflowing sink or toilet can cause water damage that spreads through your walls and home. Cracks in the depth of the bowl can send water flowing all over. Be sure to double check your sinks and toilets for warping, bubbling, cracks, or leaky pipes. You should also shut off your water valve when you go on long vacations. 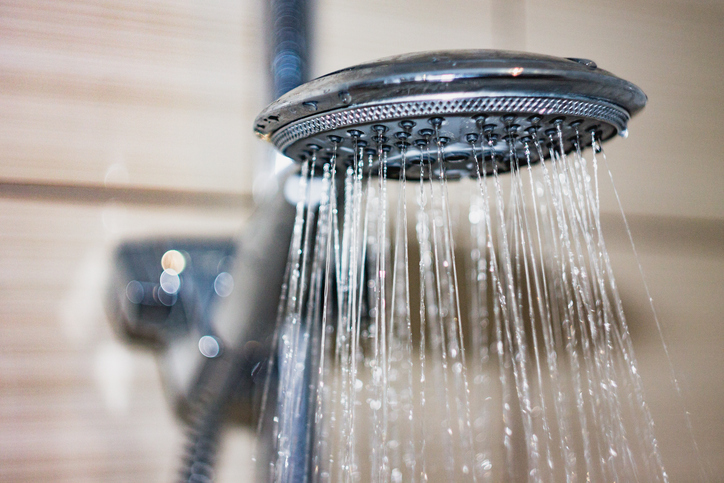 Taking long, hot showers is relaxing and stress-relieving, but this can cause water damage in your home. The steam and condensation from the hot water will build up along the walls, collect together, and drip down to the floor or seep into the tiles. Moisture that collects on the ceiling and walls can also grow mould, adding to the problem. Prevent water splatters: If you want to have a relaxing soak in the tub, make sure that you do not overfill it. This water can spill over the tub when you enter can cause water damage on your floors. If you notice signs of water damage and flooding in your shower and need immediate water damage restoration in Toronto or the GTA, Flood Services Canada can help you. We provide trustworthy and effective water damage restoration services and our professionals can save you from future damage to your home caused by damage you cannot see. We can also help you settle with your insurance company. We deploy our quick-response teams across Toronto, Oakville, Ajax, Whitby, Georgina, Barrie, Mississauga, and Lakeshore to help our customers when they find themselves in a tough situation. We’re ready to provide 24/7 sewage, water damage, and food cleanup services and will use the best techniques, personnel, and technology to ensure your home or business is clean, safe, and dry as soon as possible. Some of our roles include structural drying, cleaning and decontamination, documentation for your insurance company, and more. For a shower water damage restoration company near you, contact us at (416) 302-2107 to learn more about our water damage cleanup services, or use our emergency hotline at (416) 999-3930to get our rapid-response teams deployed to your location.